Providing a prime location for unbelievably low cost, London hostels near Piccadilly are great for budget travellers. This London accommodation option is also a great place to meet other young tourists and some Piccadilly hostels will even come with a self-catering kitchen so you can cut down on the cost of eating out each night. Cheap hostels near Piccadilly are situated right next to Soho, where the streets are lined with hundreds of bars, clubs and restaurants, including one of the world's largest Chinatowns, that stay open until the early hours of the morning. Here you will also find London's Theatreland. You can find something to suit any taste, from serious plays to comedies. During the day, nearby Trafalgar Square is the home of London galleries, with the National Portrait Gallery and the National Gallery taking pride of place in front of Nelson's Column. 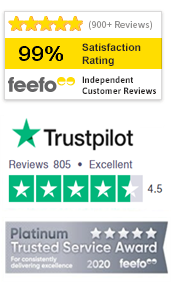 When you search for cheap Piccadilly hostels, make sure that you check out TravelStay's independent and unbiased reviews from past guests! Perfect for backpackers and those studying in the capital, Wigram House offers a choice of single and twin rooms, housed within shared apartments. Each apartment at this budget hostel near Piccadilly has its own kitchen and bathroom facilities. Situated in a surprisingly quiet part of London, Grange Wellington Hotel overlooks peaceful gardens and a landscaped square. Offering affordable accommodation, this Piccadilly hostel has a TV lounge and library. Belgravia Rooms provides affordable hostel accommodation near Piccadilly in an ideal location close to Victoria's convenient transport links. There is a range of rooms to suit even the most limited budget. Top tourist attractions like Buckingham Palace are nearby. You can stay really close to Oxford Street in Central London at a fantastically low price! This affordable hostel near Piccadilly offers you a free breakfast and access to a launderette, kitchenette, games room and TV lounge too. Other London hostels near Piccadilly include the Astor Museum Inn located about ten minutes from the London neighbourhood in Bloomsbury. This is a hugely popular London hostel, situated directly opposite the British Museum, with beds from only £19.00. Book a stay at this recently refurbished money saving London hostel near Piccadilly and you’ll be within walking distance of Victoria Station. Famous landmarks such as Buckingham Palace and Westminster Cathedral are also close by. In your room you will find a telephone and a colour TV. Recently refurbished to a very high standard, Astor Victoria offers quality budget accommodation. Full cooking facilities are available at this residence. This London budget hostel near Piccadilly and is ideal for students and young travellers on a budget. Smart Russell Square is also a good value London hostel near Piccadilly. This cheap and cheerful hostel has beds from just £21.99 each and guests can take advantage of the central location, eliminating the need to take the tube! Got business in the City or want somewhere close to St Paul's Cathedral and Covent Garden? Then why don't you, your colleagues, friends, or family stay in Access Apartments City? This London hostel near Piccadilly has apartments with 2 bedrooms, equipped kitchens and lounges.